Delegation of fringe anti-Zionist group meets with Turkish president, praises his anti-Israel policies and calls for dismantling of Israel. A delegation from the fringe anti-Zionist Neturei Karta movement met with Turkish President Recep Tayyip Erdogan in London on Tuesday, praising Erdogan’s policies vis-à-vis the Jewish state amid rising diplomatic tensions between his country and Israel. Turkey expelled Israel’s ambassador to Turkey and the consul general in Istanbul on Tuesday, after Erdogan defended the Hamas terror group and accused Israeli Prime Minister Binyamin Netanyahu of having Arab blood “on his hands” after 60 Gazans – including 24 Hamas terrorists and 36 rioters – were killed while attempting to breach Israel’s border fence. "A man whose hands are stained with the blood of countless Kurdish citizens in Turkey and Syria is the last one who can preach to us about combat ethics," Netanyahu added. Tensions mounted between Jerusalem and Ankara following the relocation of the US embassy to Jerusalem, a move Turkey strongly opposed. On Tuesday, a three-member delegation of Neturei Karta members met with Erdogan for half an hour in a closed-door meeting at the Intercontinental Hotel in London. The delegation, headed by Elhanan Beck, also met with Turkey’s European Union Affairs Minister and chief negotiator for Turkish membership in the EU Ömer Çelik during the meeting. In comments made to reporters just outside of the hotel, Beck praised Erdogan for cutting diplomatic ties with Israel, criticized President Trump’s decision to recognize Jerusalem as Israel’s capital. "Helping the State of Israel is not the favor of the Jewish people,” said Beck. “The Zionists say they want to make a safe haven for Jews... but this is untrue. The most dangerous place today for Jewish people, not to speak of the Palestinians...is in the State of Israel." "Helping Zionists is not in the favor of the Jewish people. If you want to help the Jewish people, do the example that the Turkish president does. Withdraw your embassy from there [Israel]. Come out and declare that 'we are against the State of Israel, we are against occupiers'." Beck also called for the “peaceful dismantlement” of Israel and the establishment of an Arab Palestinian state “from the river to the sea”. "We have to have peace for the region. We Jews, we hope and pray for the peaceful dismantlement of the State of Israel in full. 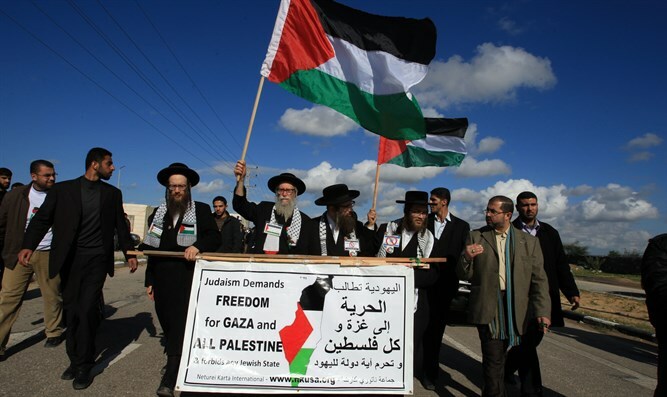 Not a two-state [solution] - we support one state, from the river to the sea, for the Palestinian people. Then Jews and Muslims can live together in peace. We hope it will be soon in our days. Then we can live in Palestine and all over the world with the Muslim people in peace, like we did for many, many centuries."